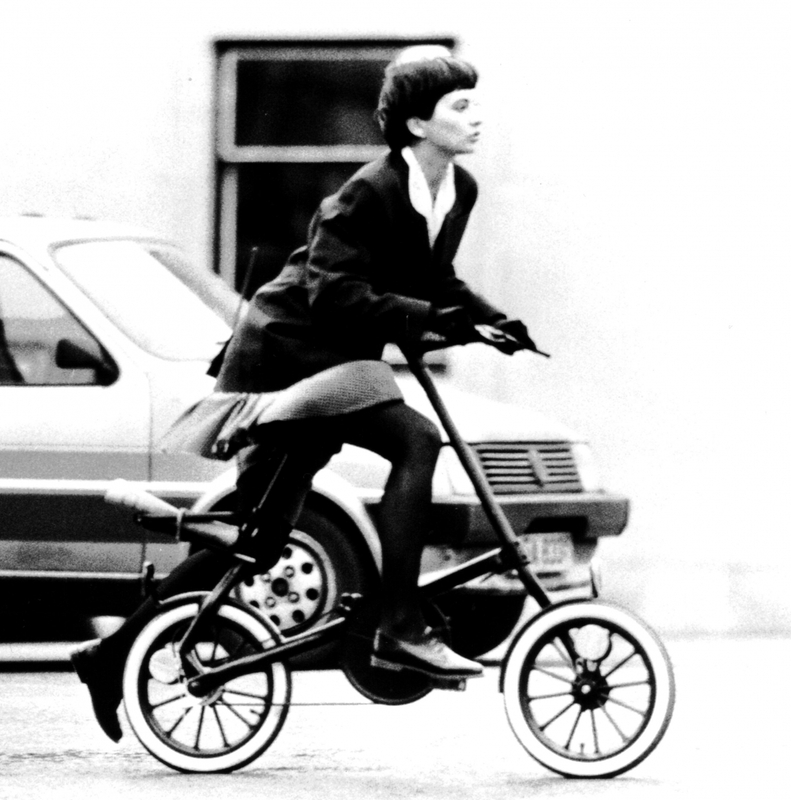 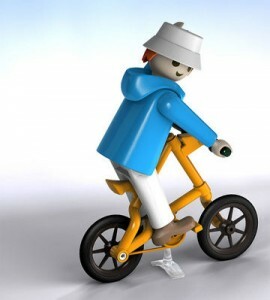 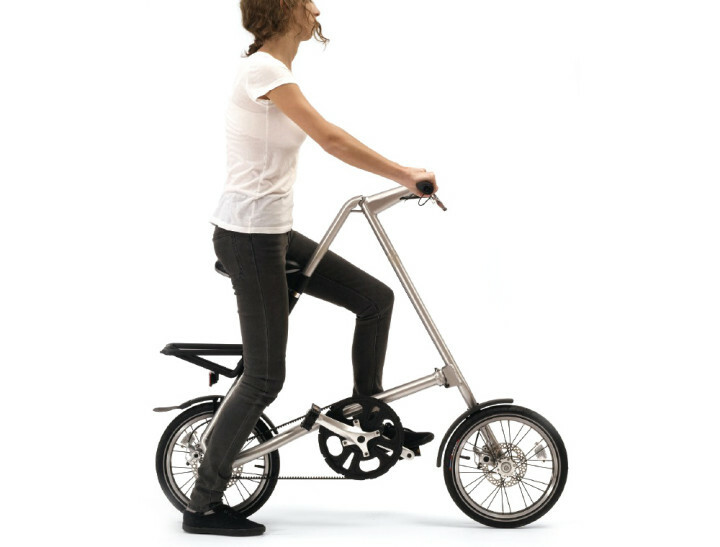 Strida is an award-winning folding bicycle. 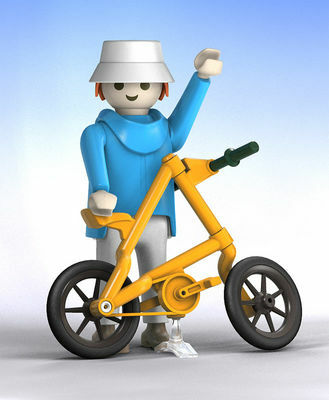 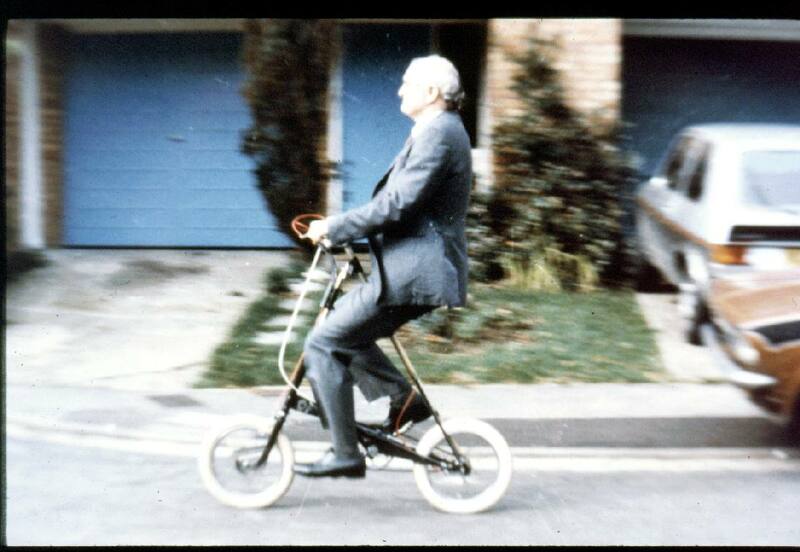 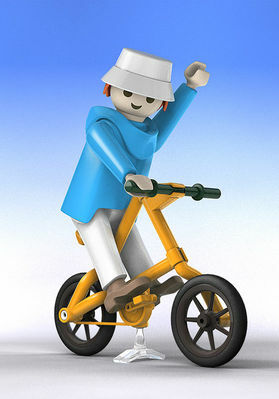 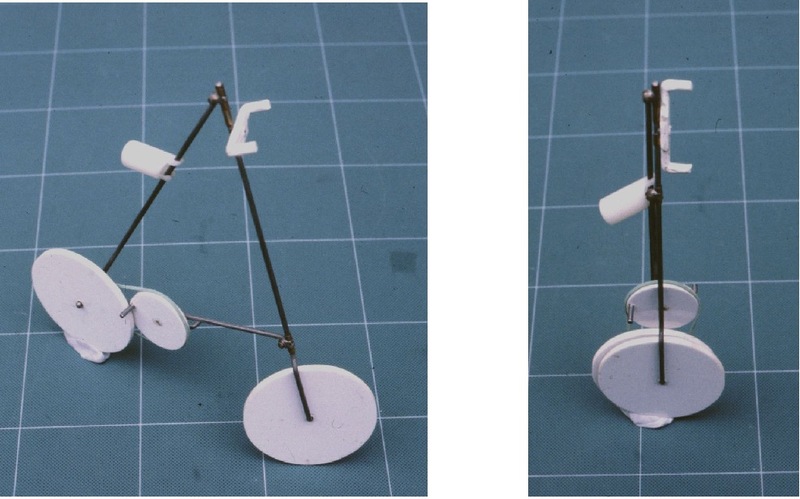 Inspired by the Maclaren baby buggy, it was conceived firstly, on the premise that folding bikes are too complex and secondly, that, when folded, a long thin wheeled stick is the ideal form for most users to hold and manoeuvre. 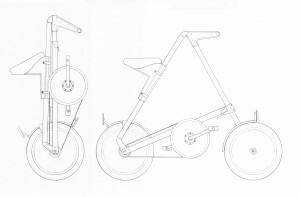 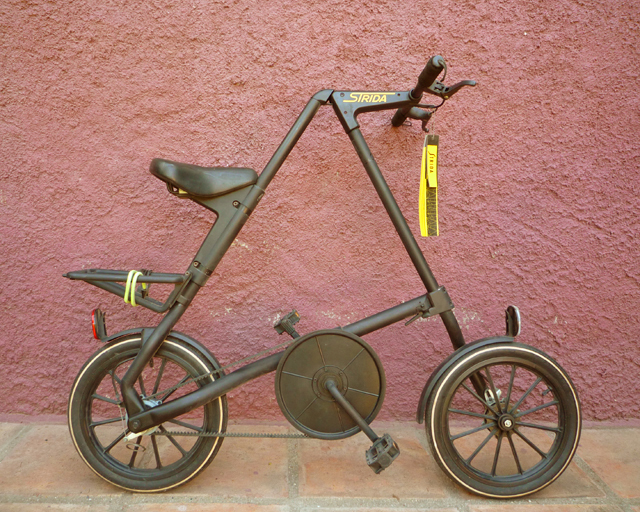 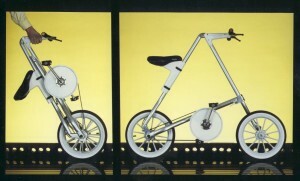 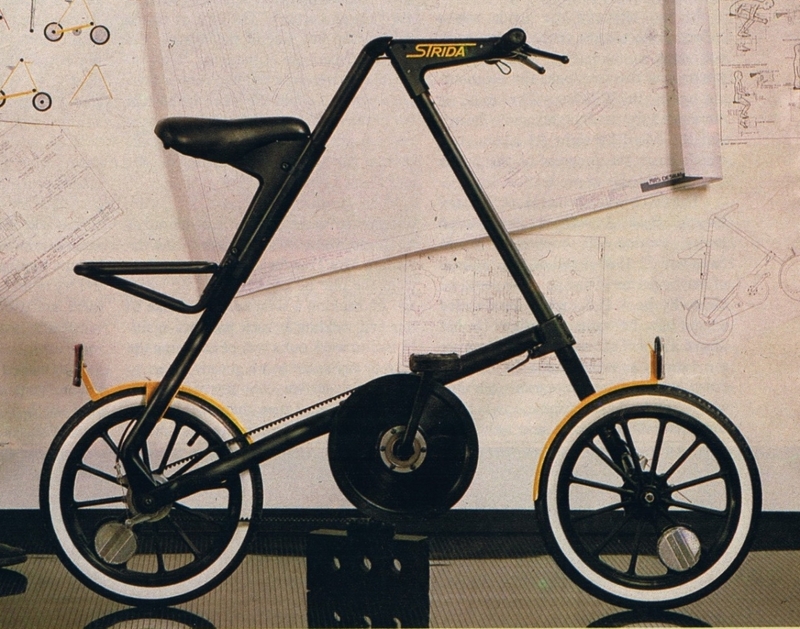 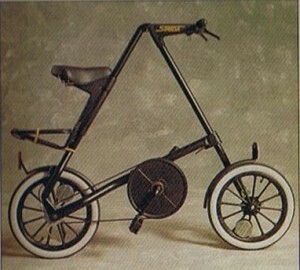 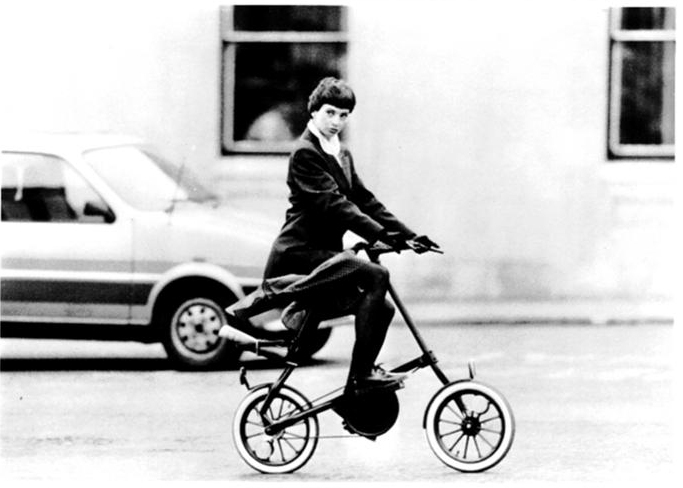 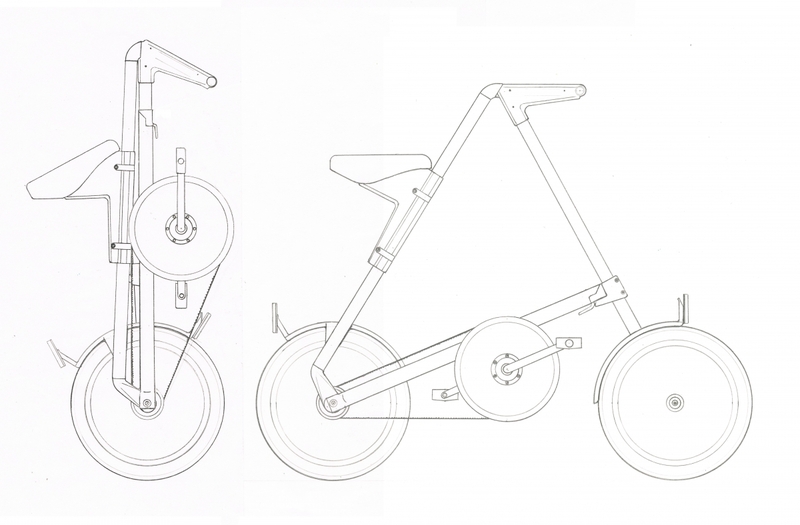 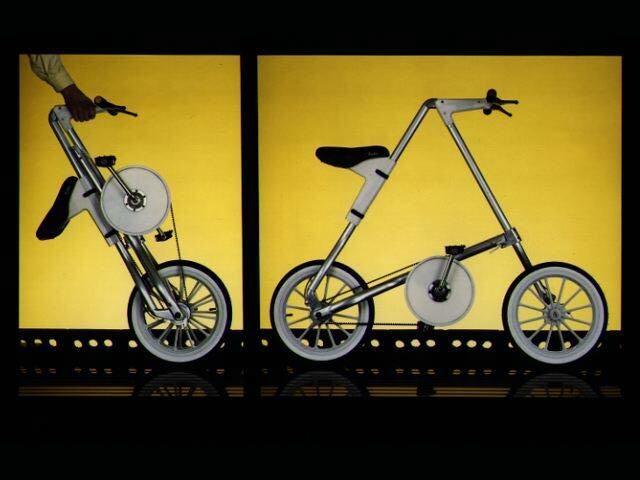 To see Strida folding and unfolding, click the photo on the left. 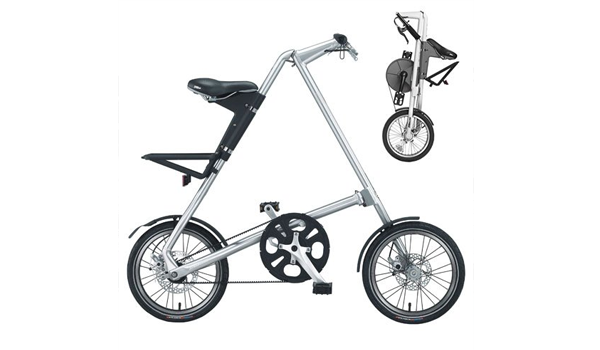 The folding and unfolding of Strida is exceptionally easy. 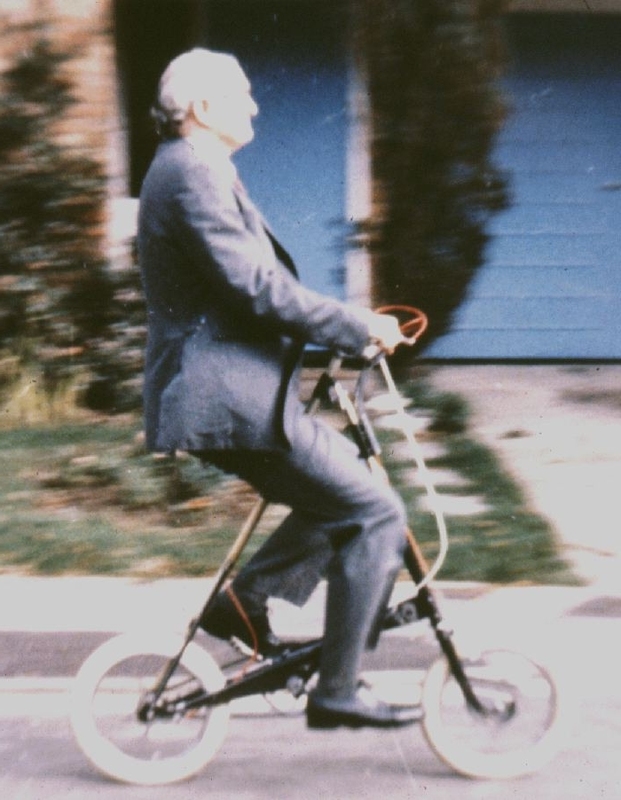 This means that it is a very effective link between faster methods of transport such as trains, buses and cars. 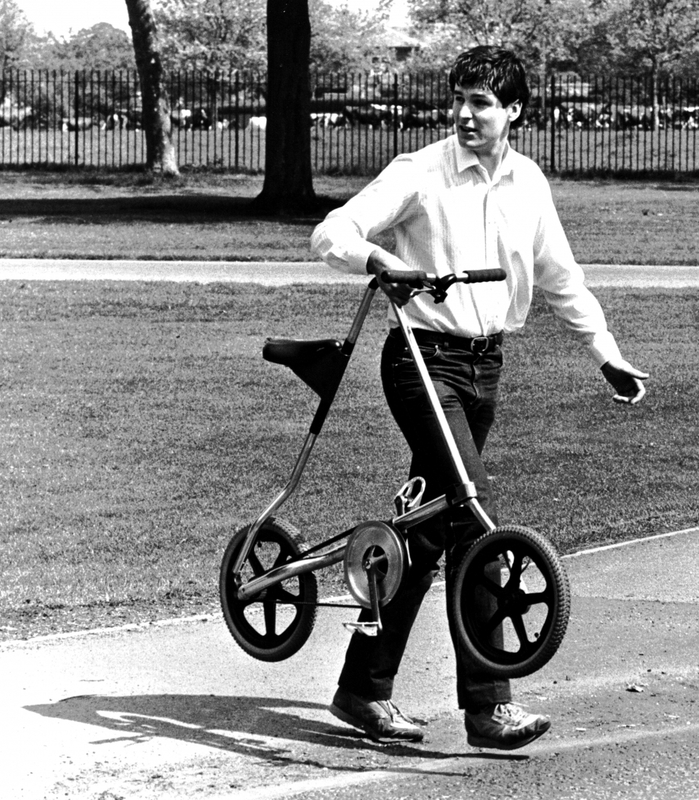 For example, you can ride to a station, instantly fold it up, like an umbrella, walk along the platform and then board the train. At the other end the Strida could link to the subway or the office. 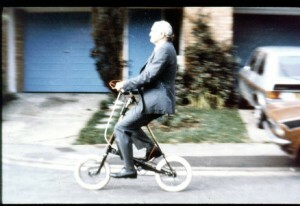 Motorists can use any convenient car park and then ride to precisely where they want to go. 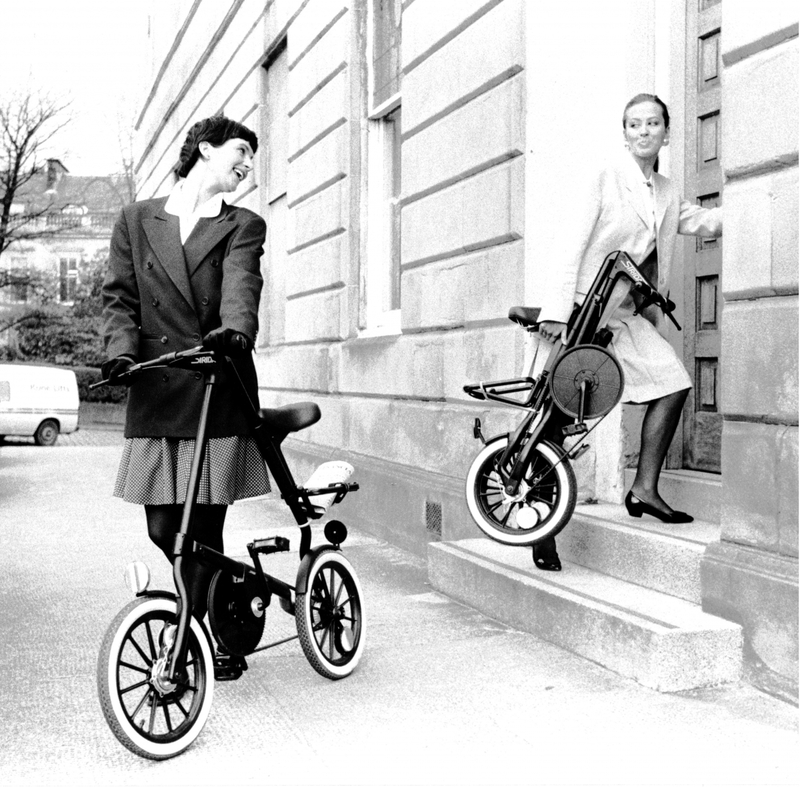 This means that journeys become truly door-to-door. As a result, travelling time and traffic congestion can be reduced, with corresponding lower stress levels and improvements to the environment. 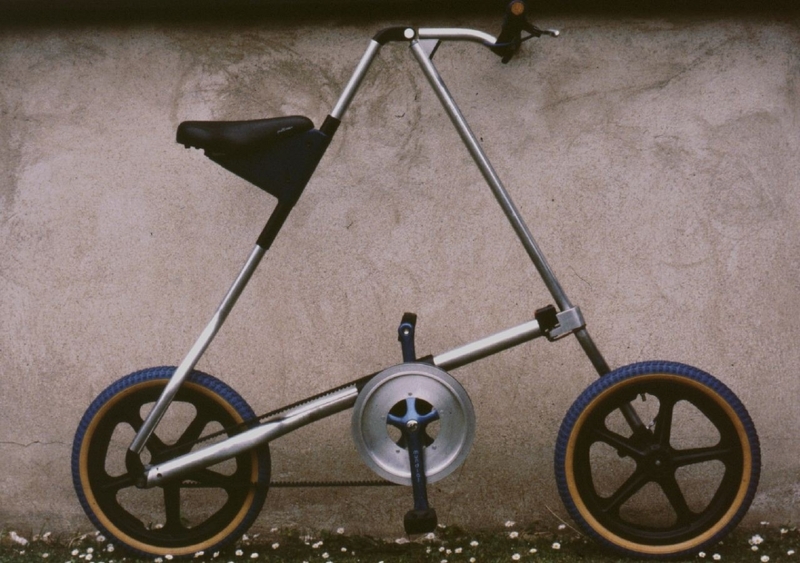 Strida’s major feature is its simplicity – just 3 tubes and 3 joints arranged in a triangle. 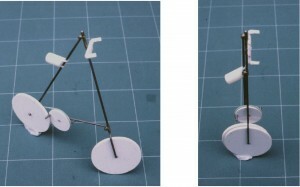 It folds by simply bringing the 3 tubes together to form a wheeled stick. 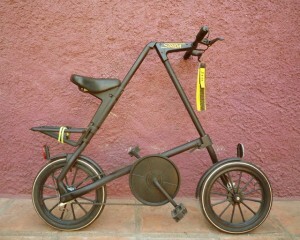 It is inexpensive, oil free, practical and elegant.